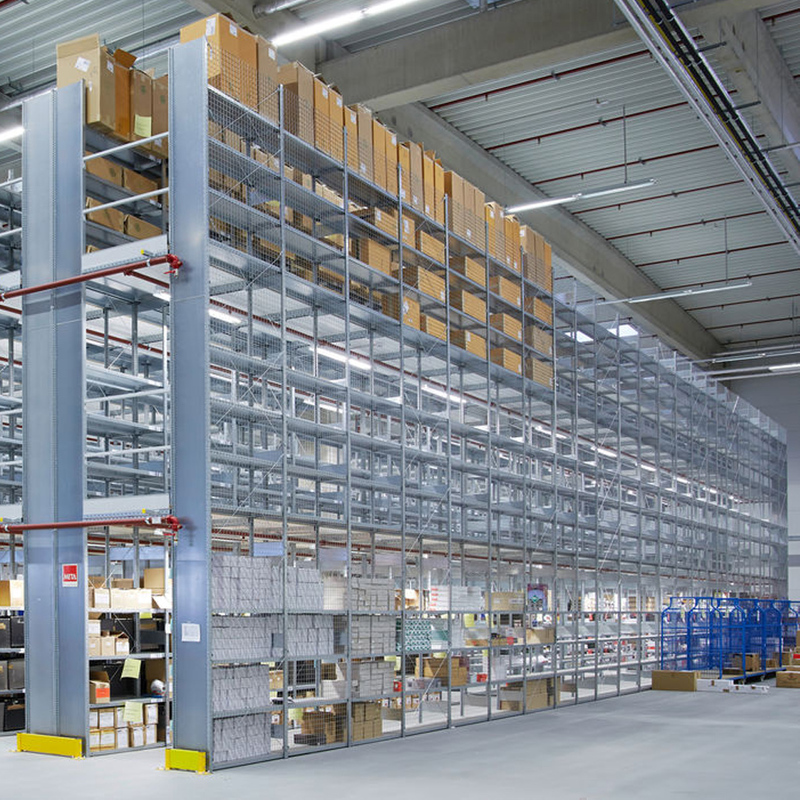 The META CLIP multi-tier shelving solution is based on the proven CLIP system and is ready for up to 3 levels. The clinched (pre-assembled) frames are set up, the reinforcements are attached, the shelves are inserted in the clips, and the shelves are now up. Then only the tracks need to be mounted and the system is ready. With the META HIGH-CLIP system, the frames are steel structures consisting of sections bolted together with horizontal and diagonal struts. 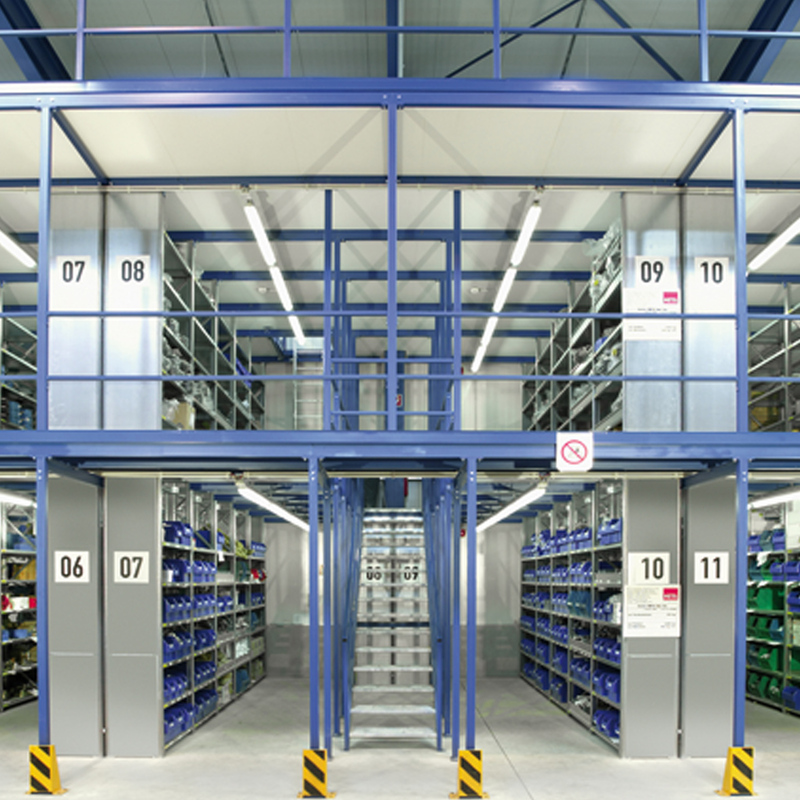 This type of design ensures a high degree of rigidity and allows 5-tier structures to be created (up to 12m shelf height). Shelves are also attached to their supports by lateral clips, so that the full width of the shelves is available for use.